We stood at the kitchen counter, hands dirty, taking turns with the only seafood cracker in the house (why haven’t I ever bought more?) to free the fresh, sweet morsels of meat from the crab legs and, instead of collecting that meat on a plate, we immediately popped them in our mouths. It was a messy affair –there might have been some finger-lickin’ going on–but my husband and I enjoyed ourselves. I had bought two large, already-cooked Dungeness crabs earlier in the day. 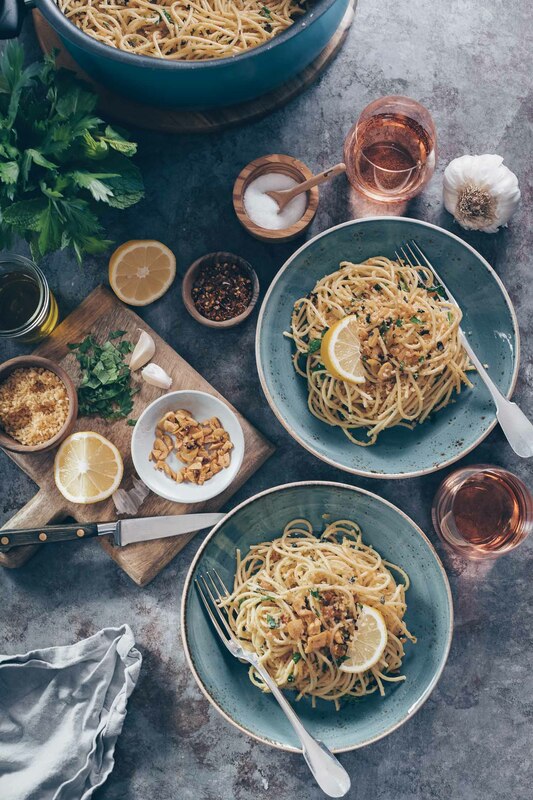 They were meant for this dish, one of my all-time favorites; I’d even prepared the fresh pasta but the crab was too good not to enjoy right away, on the counter smiling at each other between each heavenly bite. I’d been waiting for Dungeness crab season to open here in the Bay Area so I could enjoy that pasta dish but it would have to wait. After our impromptu crab fest, I didn’t have quite enough meat to properly prepare the planned meal and this happened instead. Mac and cheese kicked up a couple of notches with the addition of the leftover crab and roasted cauliflower. 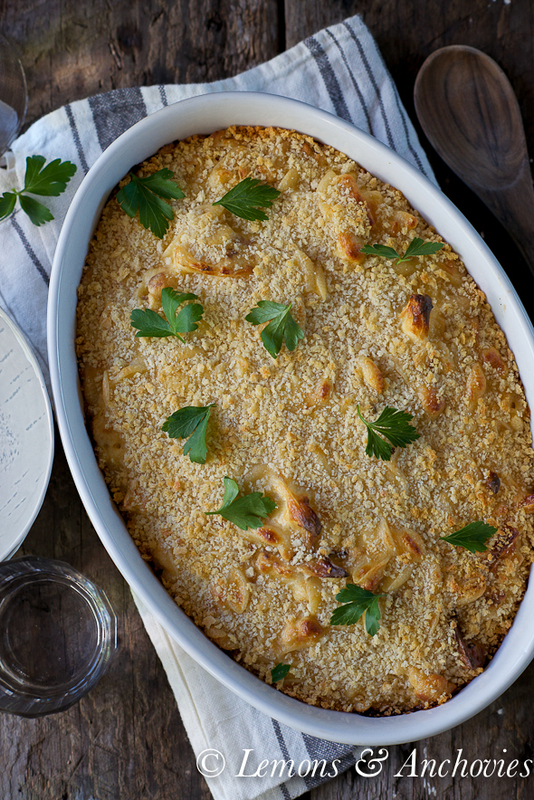 It’s a complete meal-in-one (a combo of mac and cheese and cauliflower gratin). The added vegetables and protein do not take away from the traditional, comfort-food goodness of the classic–they add more. A little meat goes a long way here and upping the nutrient factor by way of the vegetables never hurts. I chose roasted cauliflower rather than just steamed or boiled in order to build more flavor and also to avoid a watery mac and cheese. And it worked. 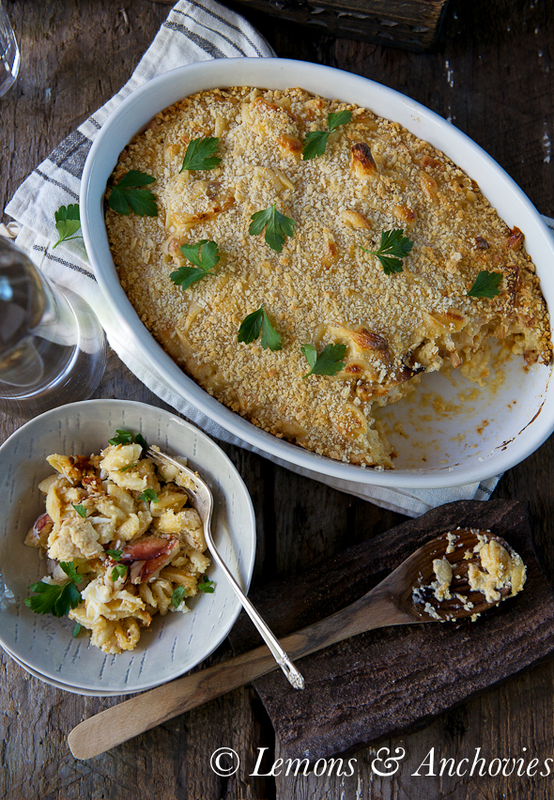 Add your favorite vegetable and/or meat to dress up good old mac and cheese. My version here does not have a high cheese sauce-to-pasta ratio so if you like a creamier mac and cheese, I would recommend reducing the pasta in this recipe or adding more cheese sauce. Whatever you decide to do, I think you’ll really enjoy it. Note: I also didn’t bake the mac and cheese with the crab–I stirred the meat in before serving. This will further reduce the cheese sauce to pasta/meat ratio so keep this in mind if you want a saucier mac. 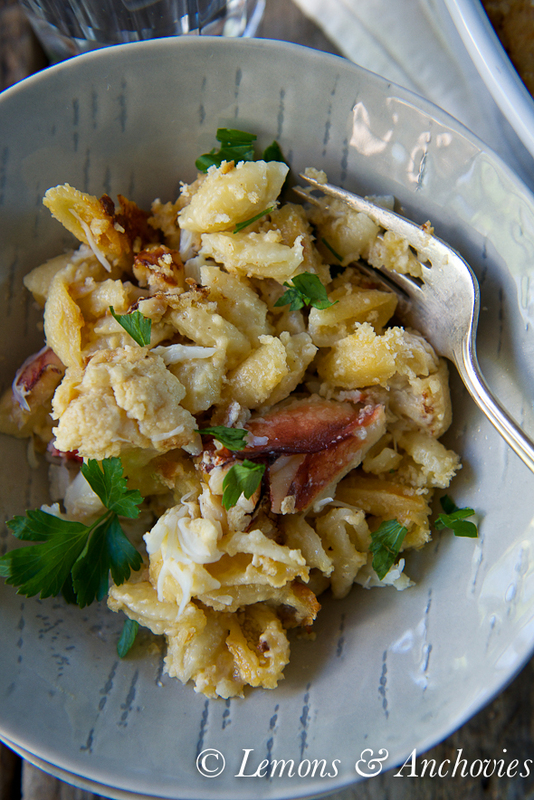 A classic mac and cheese becomes a complete meal with the addition of roasted cauliflower and fresh dungeness crab. Preheat your oven to 375ºF. To prepare the pasta, bring a pot of water to a boil. Cook the pasta until al dente, drain and set aside. Prepare the cheese sauce: Warm the milk in a separate pan and keep at just under boiling point. Melt the butter in another saucepan over medium-low heat. When melted, add the flour and whisk until smooth. Turn the heat up to medium and cook the mixture until you get a light amber color. This will take about 5-6 minutes. Use a flat whisk and stir almost constantly to prevent uneven cooking. Add the milk in ½ cup – ¾ cup increments, making sure the milk is combined well with the roux (flour and butter) before adding more. When all the milk has been added, cook for about 8 minutes, stirring constantly. The sauce will thicken slowly. Remove from heat and add salt (to taste), freshly grated nutmeg, dry mustard and ground white pepper. Then add the cheddar. Stir the pasta and the roasted cauliflower into the cheese sauce. Pour the mixture into a baking dish. If using the Parmigiano Reggiano, combine it with the bread crumbs and sprinkle on top of the macaroni and cheese. Bake for 10-15 minutes or until the top is golden brown. Spoon into smaller bowls and stir in the crab meat for individual servings. Pasta: 2 cups uncooked pasta yields about 4 cups cooked. For a higher cheese sauce to pasta ratio, reduce the amount of pasta and cook just 1½ cups. Bear in mind that the pasta does eventually absorb the liquid from the sauce so it will dry out over time. This is not an overly cheesy, gooey mac-and-cheese. Cauliflower: I used roasted cauliflower for additional flavor and also to avoid having a watery mac-and-cheese from steamed or boiled cauliflower. But you can do this as long as you drain the cauliflower properly. 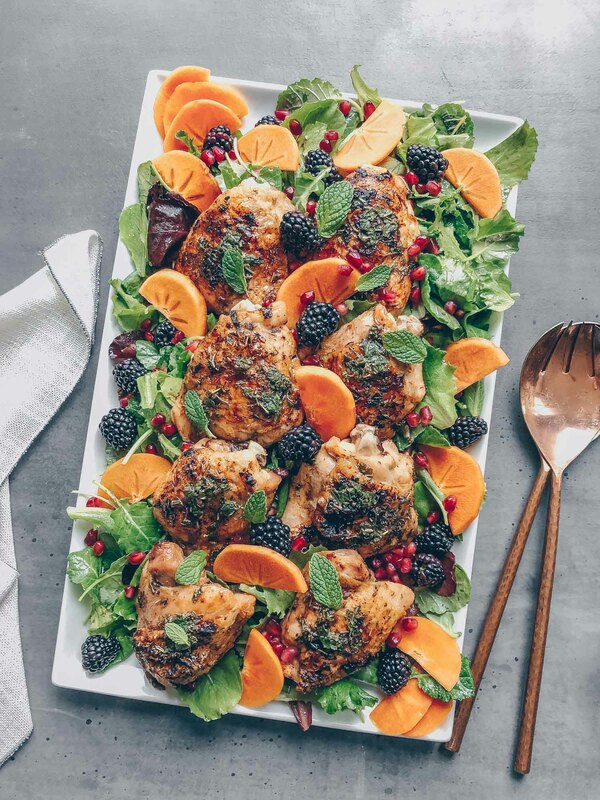 To roast: cut one head into florets, arrange on a baking sheet, drizzle with olive oil and sprinkle some salt and pepper. Roast for 20-25 minutes at 400℉. 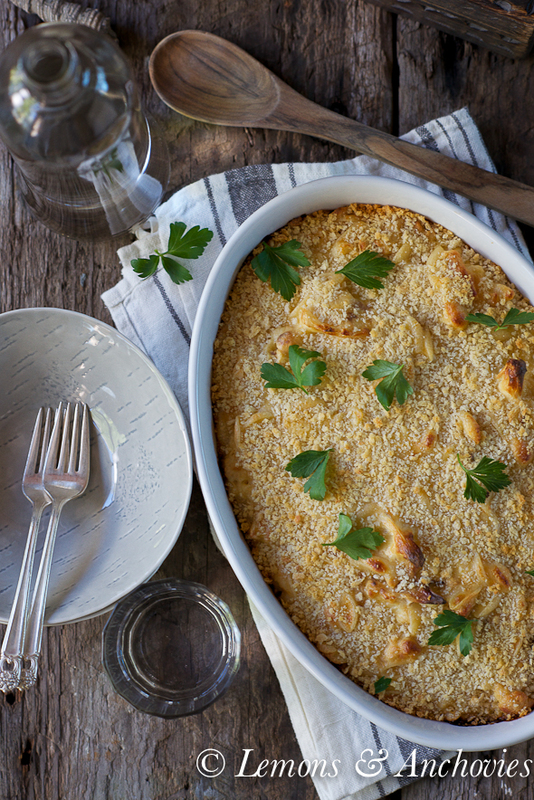 Crab: You can stir the crab into the mac-and-cheese before baking but for my household of two, since the shelf life of crab is shorter than for the mac-and-cheese itself, I opted to just stir it in. Your choice but if you add the meat before baking, this will further reduce the sauce-to-meat/pasta ratio. What a treat this would be, Jean! I like the idea of roasted cauliflower in there to give it some body. This is comfort food at its best and I just love the addition of the crab meat! 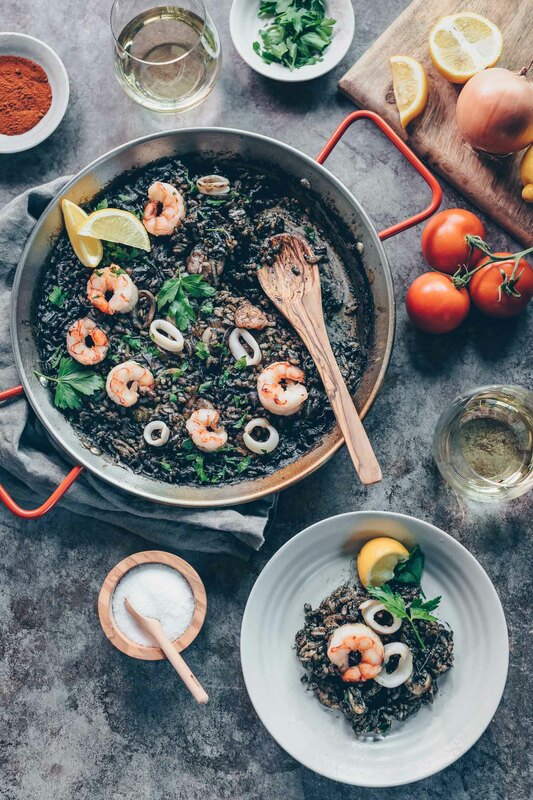 A delicious combination and comforting dish! Now I’m hungry…. I love that golden panko topping, what a great looking mac and cheese! Jean, this mac & cheese looks heavenly. Love the panko topping, and love the description of cracking through those crab legs — I can feel your excitement! If only my family could have dairy…!!!! LOVE, this dish. Heck… I can have dairy. I might just make it all for me! Beautiful photography Jean.